Mother in federal prison. Grandmother in federal prison. Father often absent because of the Army. At least seven homes and five caretakers. And one choice that a child shouldn't have to make. The life of Demariyus "Bay-Bay" Thomas could have gone in many directions, nearly all of them bad. But after his standout career at Georgia Tech, his life has come to this: The boy who had reason to cause trouble but never did was drafted by the Denver Broncos on Thursday and will soon be a millionaire. Why didn't he use his circumstances as an excuse? Ask Bay-Bay, and he'll say his determination kept him on track. "Aside from my family, this is the most important thing to me," Bay-Bay said. "I won't let anything get in the way." Bay-Bay's father's house in Hampton looks like a bachelor pad. A black leather-sectional sofa faces a big-screen TV. It's very clean but very sparse. Because Bobby Thomas travels a lot for the Army, there's not a lot of time to accumulate clutter. The few mementos hanging on the wall or sitting on the TV cabinet are the only evidence that Bay-Bay is his son. A plastic orange from the Orange Bowl with Bay-Bay's autograph and a trophy he received for his work in the weight room are the most prominent. But you don't need to see the trophies to know that this is Bay-Bay's dad. They'll give you the same looks when they talk. They have the same upper-body shape, the same easy-going temperament. They even have the same walk. Sitting on the sofa, Thomas beginsto tell how Bay-Bay got where he is today. Bobby met Katina in the summer of 1985. A friend introduced them at her home in Allentown, near Macon. An Army enlistee, he was to report to Ft. Rucker in Dothan, Ala., later that year. Despite his situation and 200-mile distance, they decided to date. On Christmas 1987, Demaryius was born and quickly nicknamed "Bay-Bay," a take on Bobby's nickname of "Boo-Boo." The 3½-hour drive began to take its toll and Bobby and Katina split. He would see Bay-Bay on weekends and on holidays. There were no disagreements between the two over Bay-Bay. But soon her trouble began. She was arrested when Bay-Bay was 5 and charged as an accomplice to a robbery. It was her second brush with the law in three years; she and her mom, Minnie Pearl Thomas, were arrested in 1990 for selling pot. Bobby Thomas had just landed in Saudi Arabia and quickly made arrangements for Bay-Bay to stay with an aunt. When his deployment ended in 1991, he and Bay-Bay moved in with his mom, Gladys, in Dublin. Bay-Bay was 6 when his mother finished her year in Wilkinson County jail, and he asked his dad if he could move back. Not wanting to keep his son away from his mom, Bobby said yes. But when she went to prison in 1999, there would be no moving back for Bay-Bay, then 11. Nor could he stay with Bobby, who didn't know where the Army would send him next. Not wanting to leave his friends, Bay-Bay asked his dad whether he could stay in Dublin. Bay-Bay had always played sports – he and his momma used to compete in foot races and basketball -- but he began to realize that he was good at them. Always one to try to make Bay-Bay happy, Bobby arranged for him to move in with Gladys again. That didn't last. A foster parent, she had three girls living with her. So, Bay-Bay's father arranged for his sister, Sheila, to take the child. Bay-Bay began to develop a pattern that would make him successful: He would take the conflict in his off-the-field life and carry it into his game. It focused him on the field. Sports became his release. His aunt didn't want to deal with the hassle of shuttling Bay-Bay back and forth to practices and games. Before Bay-Bay went to school one morning, she told him that after the final bell rang he had to come home, he recalls. He stayed after for practice. When he did get home, she told him to choose between her and sports. How do you give up the one thing that was always there for you? "I needed to move on," Bay-Bay said, " so I moved on." His next stop was family, too. Sitting on a dark plaid couch, surrounded by her parents, sister, grandmother and cousins, Bay-Bay's cousin Angela picks up the story. She saw Bay-Bay in the hallway one day while walking to class. She could tell that something wasn't right. She invited him to stay over at her house, with her mom, Shirley, and her dad, James. One night turned into two. Before long, Bay-Bay was living at the little yellow house, with the add-on here and the add-on there, already bulging with Shirley's sister and a foster son. Uncle James and Aunt Shirley gave him stability and discipline. And they did it the old-fashioned way: with chores and religion. James worked for Georgia Power during the week and was an usher and deacon at Macedonia Baptist Church, a tiny concrete homage to the Almighty nestled between the railroad tracks that bisect Montrose, a cemetery, and some seasonal marshland. Bay-Bay had no choice but to go with his aunt and uncle. Eventually, he took to it, and to them. "Ma'ams" and "sirs," "please" and "thank you" were the norm. Shirley was the enforcer. James was the softy. He would put $2 on the dresser every day for lunch and $10 more every Saturday. And so the pattern was cast. Bay-Bay would take his feelings and turn them into fuel on the playing field. Once the game was over, he would go back to living his life. Most popular. The mentor. Off the field, he would make sure that everyone felt loved. No one in the house can ever remember Bay-Bay doing anything bad, other than driving solo when he was 15 to ease the burden on his new family. "If I wasn't there," BayBay said, "I wouldn't be here." Katina walks into the visitation room at the federal prison in Tallahassee. . She looks just like Bay-Bay. Same face, same cheeks, same mouth, same smile. Same courteous manners, too. .
She puts her hands on the table and it's obvious why Bay-Bay was one of the most coveted receivers in the draft. His are her hands: Thick with long fingers. She's slightly embarrassed to show them, but proud that her son shares them. In her prison dorm room she keeps three folders that are 12-inches thick, crammed with photos and articles. The mementos come from the Internet and the prison's library, fished by her out of the recyclables. Sitting beside her mother, Minnie, both wearing identical prison-issued plain brown tops and pants, Katina has only an hour to tell her part of Bay-Bay's story. The last morning of her freedom, Bay-Bay was a sixth-grader. She didn't want to embarrass him with a tearful goodbye. So before she put him on the school bus she simply hugged him and said, "I'll see you when I get back." Waiting nearby, federal agents took her and Minnie to the county jail in Macon. Minnie had turned to selling drugs out of her double-wide trailer in Dublin, just a few miles down the road from where James and Shirley lived. Leading up to that final arrest, Bay-Bay had recognized that something wasn't right. His mother would finish the third shift at the local factory and pick him and his sister up from his grandmother's trailer and take them home. Around the house, he would watch his mom hide thick stacks of money. "I always had this feeling that they were going to get caught," Bay-Bay said. "I asked my mom to stop but she never did." Federal drug agents had tapped their phones, planted a camera at a neighbor's house and watched Minnie's trailer. Bay-Bay's grandmother, with two strikes already, got life. His mother was offered eight years to provide evidence against her mother. She refused and got sentenced to 20. Though they talk on the phone several times a week, just 15 minutes a time, per the rules, Bay-Bay has only seen his mother three times in 11 years, most recently before Tech played at FSU last season. She remembers asking him once, "Are you that good?" She watches every game. She and other prisoners take black eye-liner and write Bay-Bay's number "8″ on one cheek, and "GT" on the other. Bay-Bay is sitting in his agent's office, surrounded by photos of NFL greats. He wears black workout gear given to the players at the NFL combine. His voice is flat. When he's thinking, he bites his lower lip, just like his mother. He only occasionally makes eye contact. He's so detached, he could almost be one of the portraits hanging behind him. When he decided to leave Georgia Tech after his junior year and go pro, it became clear that an NFL team would find out about his past. After consulting with his dad and agent, he asked his mom whether he could break his promise never to talk about it. He doesn't talk about his mother often, but he thinks about her all the time. He has lost count of how many letters she's sent. He keeps them in a shoebox and re-reads them from time to time. He plans to see her before mini-camps start. His mother is to be released in 2017. Bay-Bay's career could be over by then., and she hopes that he's able to stay healthy so that she can see him play in person, at least once. Meanwhile, he hopes that he's able to repay everyone who has helped him along the way. He wants to buy a home for his mom. He wants to build a halfway house or a new church in Dublin for his Uncle James to run. Those he loves most haven't always been there for him, but others have. Together, they helped Bay-Bay become a young man of grace and determination. "One of the biggest reasons we're so proud of him," his mother said, "is in spite of everything he has succeeded." 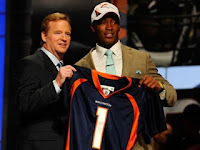 2010 NFL Draft: Denver Don't Discount Demaryius! He is a gifted athlete. Some may just call him a gift. He was born on Christmas Day in 1987, and he was drafted on Josh McDaniels birthday. His name is Demaryius Antwon Thomas, but get used to calling him Bay Bay. Born and raised in Georgia, he became a star athlete at West Laurens High School in Dublin, GA. His upbringing wasn't the most stable situation, but he credited living with his uncle who provided some strict discipline with helping him to get to college. "Basically, when I was coming up, my mother and my grandmother got put in prison and I always told myself that I didn't want to get into a position to get myself into no trouble. So, I've been around the right crowd... Once I did that, everything changed in my life. I always wanted to be around the right crowd and didn't want to get in no trouble. I didn't want to be that guy that is always talked about that he's a bad guy and so, I just put myself around the right crowd." He committed to play at Georgia Tech in 2006, and redshirted his freshman year under Coach Chan Gailey. In 2007, his redshirt freshman season he burst on the ACC scene with 35 catches for 558 yards and 4 touchdowns. He was named to the ACC All-Freshman and honorable mention to the Freshman All-American squads. A coaching change prior to the 2008 season resulted in a major offensive scheme change and a limited role for Thomas to impact the game. With Paul Johnson's triple-option he became an intregal part of the downfield blocking, but still managed 39 catches for 627 yards. In his junior season Bay Bay really broke out with 46 catches going for an astonishing 1,154 yards and eight touchdowns. In a triple-option offense those numbers are mind-boggling. His 25 yards per catch average has "playmaker" written all over him, as many times he was in double-coverage and underthrown. He decided to leave school after his junior year because he felt under-utilized in the offensive system, which is probably right, and now has proven to be a smart choice. In his live press conference earlier today, Bay Bay said that at Georgia Tech he basically only had two or three routes to run in games, and that was a factor in his decision to leave early. He said that he practiced many routes but they were not used in games. Just prior to the NFL combine, he ran a videotaped 4.38 40-yard dash; an amazing time for a six-foot three inch player weighing 224 pounds. Then while training for the 3-cone drill he broke his foot. That video tape proved to be another gift as he wasn't able to run drills at the combine for NFL scouts. The conflicting opinions on his route running, blocking ability, and deep speed created a divided opinion about Demaryius' top-end potential in the draft. Even if he ran a 4.5 forty that still puts him in the size/speed combination of former Bronco Brandon Marshall. His blocking ability is certainly something that can get him on the field in his rookie season, and anyone doubting his impact in run-blocking need only watch the Georgia Tech-Clemson ACC championship game tape to see him flatten multiple defenders. Even Bay Bay was surprised that he was chosen before Dez Bryant, but he did say "I know I am a better person than Dez." Coach McDaniels said that the Broncos had graded Thomas higher than Dez Bryant, and believes that he can understand the offensive system. He feels that Bay Bay can use his size and speed to create matchup problems and get a high yard-per-catch average in the NFL, just as he did in the ACC. In his visit with the Broncos the coaches put him through the Broncos routes and came away impressed at his ability to pick them up quickly. On his recovery from the broken foot, he said earlier today that he is 95% right now and should be 100% within two to three weeks. 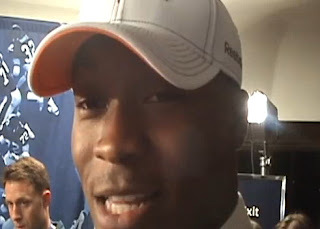 Demaryius stated that "I know I need help, so I hope to get help from the veterans." His route running needs to be crisper and he needs to sell some of his fakes better, but that is coachable. There is an old adage that you can't coach size and you can't coach speed, both of which Thomas has been gifted with. Bronco fans can't wait to see if this gift is one that keeps on giving. ATLANTA — Hugh Kight was already making plans. As the principal of West Laurens, he was going to order the school’s outdoor dining space be opened up tonight for a county-wide barbeque. But then, a snag hit Kight’s plans. Thomas — or as he is more affectionately known in these parts, “Bay-Bay” — was invited to a celebration party of a much different variety on a much larger scale. He was asked to report to New York City’s Radio City Music Hall where, along with a couple dozen other now former college hopefuls, he will celebrate his potential drafting tonight into the NFL. Slated to be a first-round or, at worst, early second-round pick in the draft, Thomas could be one of possibly three former Georgia Tech standouts taken by a professional team in tonight’s ceremonies. A native of Montrose — a Middle Georgia hamlet boasting less than 200 people — the seeming reality of Thomas’ small-town-boy-meets-big-city dream has already touched a community. In an area that boasts the likes of perennial state playoff-contending rivals Dublin, East Laurens and Thomas’ West Laurens, friends in these parts are often foes on Friday nights. The road to New York tonight has been a rough and rocky one for Thomas. As a child, he was moved from relative to relative after his grandmother and mother were caught trafficking cocaine and sentenced to 40- and 20-year prison sentences, respectively. In college, after the coach who had recruited him was fired, he was pressured to leave because it was rumored he wasn’t going to get the ball thrown his way much anymore, as the new head man in charge featured a spread option scheme. Through it all, Thomas survived and emerged strong. With respect to the way Thomas blended effortlessly into his spread option offense, it will be the Yellow Jackets who get the last laugh tonight, head coach Paul Johnson said. Current Yellow Jackets receiver Stephen Hill was recruited while Thomas was deciding whether to stay or leave Georgia Tech, and he heard similar rumblings about a perceived lack of passing in Johnson’s offense. But Hill decided to go to Georgia Tech anyway, and as a freshman, he caught six passes alongside Thomas, who finished with 46 and 1,154 yards receiving as a junior. Along with Thomas, defensive end Derrick Morgan is slated to be a top-10 pick, with running back Jonathan Dwyer hopeful for sneaking into the opening round, as well. Two other players, safety Morgan Burnett and offensive lineman Cord Howard, are potential second- and third-day selections, respectively. 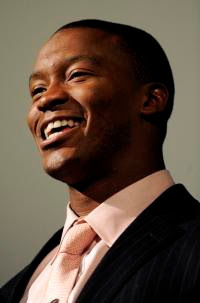 Former Georgia Tech wide receiver Demaryius Thomas was selected by the Denver Broncos with the No. 22 pick in the first round of Thursday’s NFL draft in New York. Thomas caught 46 passes for 1,154 yards and eight touchdowns last season. He averaged a whopping 25.1 yards per catch to be the first wide receiver selected on Thursday. At 6-3, 224 pounds, Thomas has the size and speed (4.38 in the 40-yard dash) that NFL teams coveted. He wasn’t able to participate in the NFL combine in Indianapolis in February because he broke a bone in his foot while training. However, he was able to hold a workout on Sunday in Atlanta where he ran an untimed cone drill and caught passes for scouts from 10 teams. Former teammate Derrick Morgan was selected by the Tennessee Titans with the No. 16 pick. He is the most recent first-round selection from Tech since wide receiver Calvin Johnson was chosen by Detroit with the No. 2 pick in 2007. About twice a week, for the past decade or so, Demaryius Thomas has spoken to his mother on the phone. She is in prison, midway through a 20-year sentence for selling drugs. 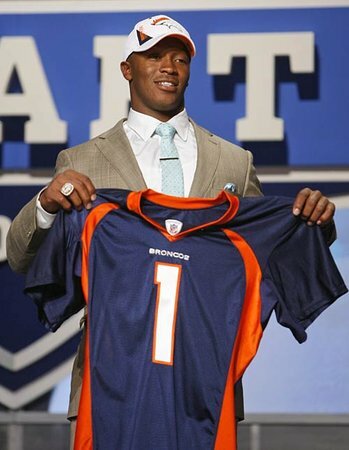 Now Thomas is in the NFL, a first-round draft pick by the Broncos. The pair spoke again Friday while Thomas was en route to Denver. "They watched last night," Thomas said. "She just said she was proud of me, just do the right thing, stay with the right crowd, what I've been doing the whole time." Thomas said he always told his mother that someday he would be a professional athlete, and he credits becoming active in sports for keeping him out of trouble after she went to prison when he was about 12 years old. Thomas' grandmother also is in prison for selling drugs. "I knew they were going to be in prison for a while, and I didn't want to be like them and put myself in the position they got in," Thomas said. On Friday, Thomas said he believed the Broncos chose to make him the first wide receiver drafted at No. 22 in 2010 in part because "I'm a good guy." The Dallas Cowboys drafted Dez Bryant — the talented but somewhat troubled receiver — two picks later at No. 24. Thomas was asked Friday how he is a better receiver than Bryant. Thomas hesitated at first, then gave an honest answer. "I know I'm a better person than Dez, that's how I feel," Thomas said. "I feel like I'm a better receiver, too, bigger, faster. I don't know." Thomas said he expects to spend two or three more weeks on the final stages of rehab for the broken bone in his foot, an injury he suffered Feb. 15 while he prepared for the NFL combine. That means Thomas will be held out of the Broncos' rookie minicamp scheduled for next weekend but that he should be ready for the first full-squad camp later in May. Thomas will be back in Denver on Thursday to finish his rehab with Broncos trainers. "I'll be at 100 percent in two to three weeks," he said. Not many people in the computer world remembered H. Edward Roberts, not after he walked away from the industry more than three decades ago to become a country doctor in Georgia. Bill Gates remembered him, though. H. Edward Roberts with the Altair 8800 computer in 1997. As Dr. Roberts lay dying last week in a hospital in Macon, Ga., suffering from pneumonia, Mr. Gates flew down to be at his bedside. Mr. Gates knew what many had forgotten: that Dr. Roberts had made an early and enduring contribution to modern computing. He created the MITS Altair, the first inexpensive general-purpose microcomputer, a device that could be programmed to do all manner of tasks. For that achievement, some historians say Dr. Roberts deserves to be recognized as the inventor of the personal computer. For Mr. Gates, the connection to Dr. Roberts was also personal. It was writing software for the MITS Altair that gave Mr. Gates, a student at Harvard at the time, and his Microsoft partner, Paul G. Allen, their start. Later, they moved to Albuquerque, where Dr. Roberts had set up shop. Dr. Roberts died Thursday at the Medical Center of Middle Georgia, his son Martin said. He was 68. When the Altair was introduced in the mid-1970s, personal computers — then called microcomputers — were mainly intriguing electronic gadgets for hobbyists, the sort of people who tinkered with ham radio kits. Dr. Roberts, it seems, was a classic hobbyist entrepreneur. He left his mark on computing, built a nice little business, sold it and moved on — well before personal computers moved into the mainstream of business and society. Mr. Gates, as history proved, had far larger ambitions. Over the years, there was some lingering animosity between the two men, and Dr. Roberts pointedly kept his distance from industry events — like the 20th anniversary celebration in Silicon Valley of the introduction of the I.B.M. 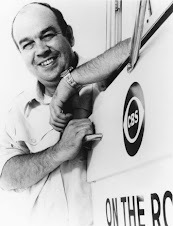 PC in 1981, which signaled the corporate endorsement of PCs. “Ed was willing to take a chance on us — two young guys interested in computers long before they were commonplace — and we have always been grateful to him,” the statement said. When the small MITS Altair appeared on the January 1975 cover of Popular Electronics, Mr. Gates and Mr. Allen plunged into writing a version of the Basic programming language that could run on the machine. Mr. Gates dropped out of Harvard, and Mr. Allen left his job at Honeywell in Boston. 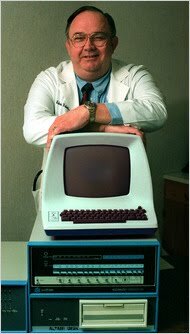 The product they created for Dr. Roberts’s machine, Microsoft Basic, was the beginning of what would become the world’s largest software company and would make its founders billionaires many times over. MITS was the kingpin of the fledgling personal computer business only briefly. In 1977, Mr. Roberts sold his company. He walked away a millionaire. But as a part of the sale, he agreed not to design computers for five years, an eternity in computing. It was a condition that Mr. Roberts, looking for a change, accepted. He first invested in farmland in Georgia. After a few years, he switched course and decided to revive a childhood dream of becoming a physician, earning his medical degree in 1986 from Mercer University in Macon. 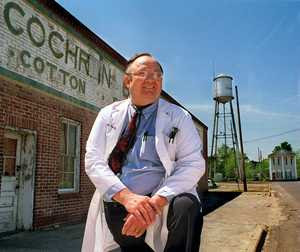 He became a general practitioner in Cochran, 35 miles southeast of the university. In Albuquerque, Dr. Roberts, a burly, 6-foot-4 former Air Force officer, often clashed with Mr. Gates, the skinny college dropout. Mr. Gates was “a very bright kid, but he was a constant headache at MITS,” Dr. Roberts said in an interview with The New York Times at his office in 2001. H. Edward Roberts was born in Miami on Sept. 13, 1941. His father, Henry Melvin Roberts, ran a household appliance repair service, and his mother, Edna Wilcher Roberts, was a nurse. As a young man, he wanted to be a doctor and, in fact, became intrigued by electronics working with doctors at the University of Miami who were doing experimental heart surgery. He built the electronics for a heart-lung machine. “That’s how I got into it,” Dr. Roberts recalled in 2001. 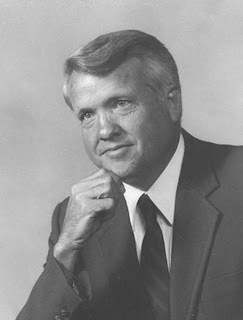 In addition to his sons Martin, of Glenwood, Ga., and John David, of Eastman, Ga., Dr. Roberts is survived by his mother, Edna Wilcher Roberts, of Dublin, Ga., his wife, Rosa Roberts of Cochran; his sons Edward, of Atlanta, and Melvin and Clark, both of Athens, Ga.; his daughter, Dawn Roberts, of Warner Robins, Ga.; three grandchildren and one great-grandchild. His previous two marriages, to Donna Mauldin Roberts and Joan C. Roberts, ended in divorce. His sons said Dr. Roberts never gave up his love for making things, for tinkering and invention. He was an accomplished woodworker, making furniture for his household, family and friends. He made a Star Wars-style light saber for a neighbor’s son, using light-emitting diodes. And several years ago he designed his own electronic medical records software, though he never tried to market it, his son Dr. Roberts said. Funeral services for Dr. Henry Edward Roberts, a physician and one of the computing world’s influential figures, will be held Monday in Cochran. He died Thursday after a months-long bout with pneumonia. Roberts, who was 68, made a name for himself when, in the mid-1970s, he built and sold a primitive home computer called the Micro Instrumentation and Telemetry Systems (MITS) Altair 8800, a screenless box of a machine with red light bulbs on its face that was operated by toggle switches. A young Bill Gates, who went on to found Microsoft, was inspired by Roberts’ creation. Gates, who later became an associate of Roberts’, visited Roberts at a Macon hospital last week. Roberts, who, after selling his company, became a farmer and then a medical doctor — a graduate of Mercer University’s charter medical school class in 1986 — told The Telegraph in a 1995 interview that he coined the term “personal computer” in a marketing meeting for his Altair machine. He spoke of the frustration of being a somewhat forgotten pioneer. Though Gates was not a Roberts employee, Roberts “did hire him as a contractor to upgrade Altair BASIC,” the story noted. After selling the computer company (his share of the sale was $3 million), Roberts, a Miami native and father of six, settled on his family’s ancestral farm in Wheeler County, outside Alamo, south of Dublin. There he dropped out of sight, at least to the computer society. “I intentionally kept a low profile,” Roberts told The Telegraph. In 1982, when he was in his late 30s, he enrolled in the fledgling Mercer medical school. Roberts, whose funeral is at 11 a.m. Monday at Cochran First Baptist Church, practiced medicine for more than 20 years in Bleckley County. The article also quoted Roberts, then 54, about getting older and still working. ANAHEIM -- The Angels announced their Opening Day roster after their final exhibition game on Saturday, and it includes Bobby Wilson as a third catcher, infielder Robb Quinlan and outfielder Terry Evans. Wilson and Evans, who are both out of options, will be Opening Day Angels for the first time, while Quinlan made the final cut as the club's utility player over fellow non-roster invitees Cory Aldridge and Michael Ryan, both of whom had impressive springs. As for Evans, who batted .271 this spring and belted 26 homers at Triple-A last season, he was more of a lock to make the club, considering the fact that he was out of options and that the club placed outfielder Reggie Willits on the disabled list with a strained right hamstring. Evans, 28, also had the edge, because he has the ability to play center field, while Ryan, 32, and Aldridge, 30, can only play the corner-outfield positions. 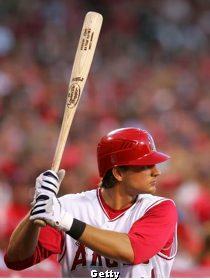 "Terry is a legitimate center fielder who can play all three," Scioscia said. "He's a versatile guy, and that's important to us right now." Buzz up!Georgia basketball coach Mark Fox said Wednesday he was hoping to add perimeter scoring to the Bulldogs' 2010 recruiting class. 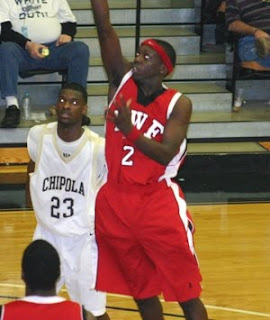 A day later, Northwest Florida State junior college guard Sherrard Brantley committed to Georgia. The 6-foot-2 Brantley averaged 13.7 points per game and connected on 42.9 percent of his shots from 3-point range this season, making more than 100 3-pointers. "He can stroke it," said Marvin Latham, who coached Brantley at Dublin High School. "They had a need for a shooter. That was a big concern of theirs. They're going to play him at the (shooting guard) spot or the wing and let him do what he does best, and that's shoot the basketball." Brantley committed to Georgia on Thursday afternoon over LSU and Creighton. He became the third member of this signing class. The late signing period begins on April 14. Georgia inked power forward Cady Lalane in the early signing period and got a commitment this week from Miller Grove post player Donte Williams. Fox said this week that Georgia could sign two or three players this spring. Brantley will have three years of eligibility at Georgia. He visited Georgia this week. Latham joined him in Athens on Tuesday to spend time with Fox and assistant Philip Pearson. Latham said Brantley qualified late last year, but still went to junior college and "got his game better" at the school in Niceville, Fla.
"He's a great basketball player and an even better young man," Latham said. "We're real proud of him down here." Dr. James Alexander loved animals and children. For the latter, he became a pediatrician. For the former, he bred Airedale terriers, which he owned while growing up in Dublin, a Middle Georgia town. There, a relative had been a doctor. At 6, the nephew chose a career. "He stuck to it," said Dorothy Alexander his wife. "He loved kids and decided to go into pediatrics, and he was in pediatrics for 50 years. It was an inner thing with him. He'd meet a child and say, ‘Would you like to see my interpretation of a turtle?' He'd wait. Then he'd ask it again. He would come up with crazy things like that." On Wednesday, Dr. James Hicks Alexander of Dunwoody died from complications of dementia at Silverleaf Alzheimer Care in Snellville. He was 78. A funeral is scheduled for 1 p.m. Saturday at Sandy Springs Chapel, which is in charge of arrangements. After undergrad studies at the University of Georgia, Dr. Alexander graduated from the Medical College of Georgia. He completed his internship and residency in pediatrics at the Henry Ford Hospital in Detroit, where he met his wife of 50 years. For 12 years, he ran a private pediatric practice in St. Claire Shores, Mich. He served as vice chairman of the pediatrics department at St. John's Hospital & Medical Center, as well as co-chairman of the pediatric unit at Holy Cross Hospital, two Detroit providers. In 1972, he, his wife and three children returned to Georgia, settling in metro Atlanta. He joined the practice of Richard B. Smith and the late Marvin Davis. The three pediatricians retired in 2000. Dr. Smith of DeKalb County held Dr. Alexander in high regard. "He was an excellent pediatrician and counselor," he said. "He was thorough and informed in every way. I have nothing but praise for him." In Atlanta, Dr. Alexander served as vice president and president of the medical staff at Children's Healthcare of Atlanta at Scottish Rite; and vice chairman and chairman of the pediatric department and the medical staff at Northside Hospital. He was an ex-officio member of the Fulton County Hospital Authority. Moreover, he served on and oversaw various committees. When it came to Airedale terriers, the UGA football fan usually kept two. He called one Yankee and the other Rebel. "I knew nothing about the breed before we got married," his wife said. "He would be seen at the Atlanta dog shows showing his own Airedales. They are all dead now." Besides dogs, Dr. Alexander enjoyed golf, refurbishing antiques and woodworking. He completely dismantled the vintage house where he grew up in Dublin, then moved it to Lake Lanier, where he rebuilt it into a five-bedroom cottage. "He made it look like a modern home outside, but when you went inside there were all these heritage pieces," she said. "He could tell you about a light fixture that came from the bedroom in which he was born. There was nothing he could not do." Additional survivors include two sons, Chris Alexanderand Mark Alexander, both of Duluth; a daughter, Cari Alexander of Suwanee; and nine grandchildren.